Author: Stauber, R., Vollrath, L.
Today's automotive industry is challenged by ever more stringent demands to reduce fuel consumption and exhaust emissions. Lightweight design and increased use of advanced plastic components will be crucial for the next generation of cars complying with legislation. Engineers and manufacturers who develop and produce polymer-based components for automotives are under pressure to reduce developing times and to optimize production processes for quality and economic viability. Tools of choice are computer-aided selection of polymers in combination with mathematical simulation for both, material properties and production processes. They provide crucial help in finding innovative and economical solutions when designing polymer applications for modern cars. 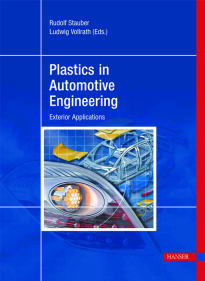 This unique and timely book provides theoretical as well as practical reviews of novel polymer applications for automotive engineering, covering material selection, simulation, prototyping and manufacturing. Nineteen industrial case studies illustrate current polymer applications for the exterior of passenger cars and commercial vehicles made in Europe. These studies describe component-specific and vehicle-specific solutions, providing expert insights into current developments in the polymer industry as well as novel component production and, most importantly, their innovative implementation into industrial practice. Author: Wulfhorst, B., Gries, T., Veit, D.
This book provides an overview of the complete process of textile manufacturing. The various raw materials, the different methods of yarn and fabric manufacturing, and an introduction to knitting technology, nonwovens, finishing, and ready-made garment production are described in detail. The book includes a discussion of current recycling processes. 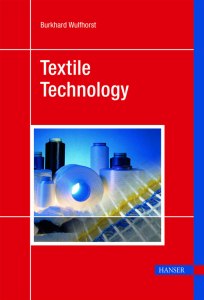 To provide a better understanding of the individual textile processes, an example at the end of each chapter describes a particular textile product and the respective processing steps necessary for its manufacture.